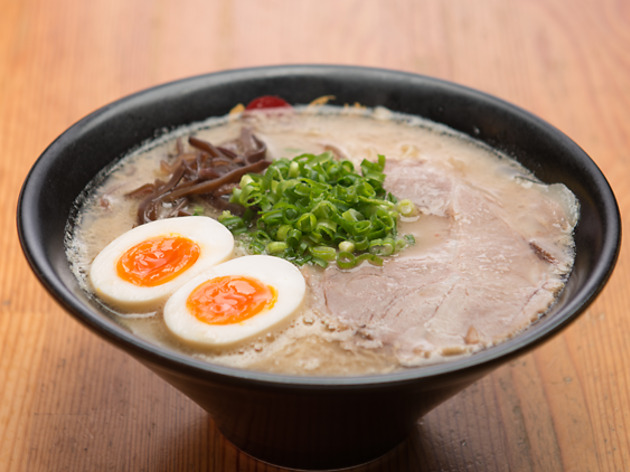 Creatures of comfort food, ramen has become quite a staple in our diets. 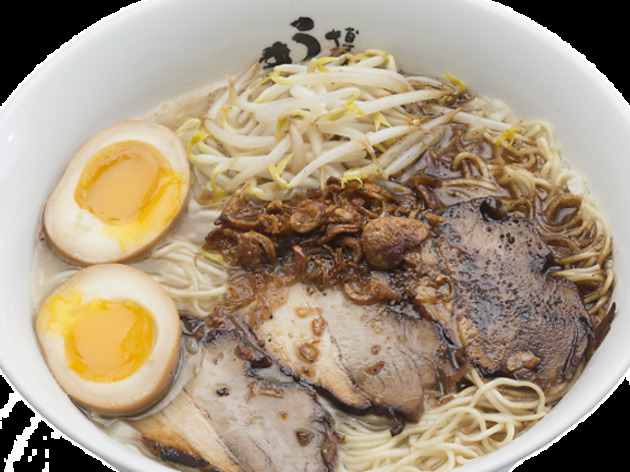 You don't have to be Japanese to appreciate a good bowl of ramen, and what's not to love about the rich, thick broth, chewy noodles, chunks of char siew and the glorious flavoured egg with its glistening golden yolk. 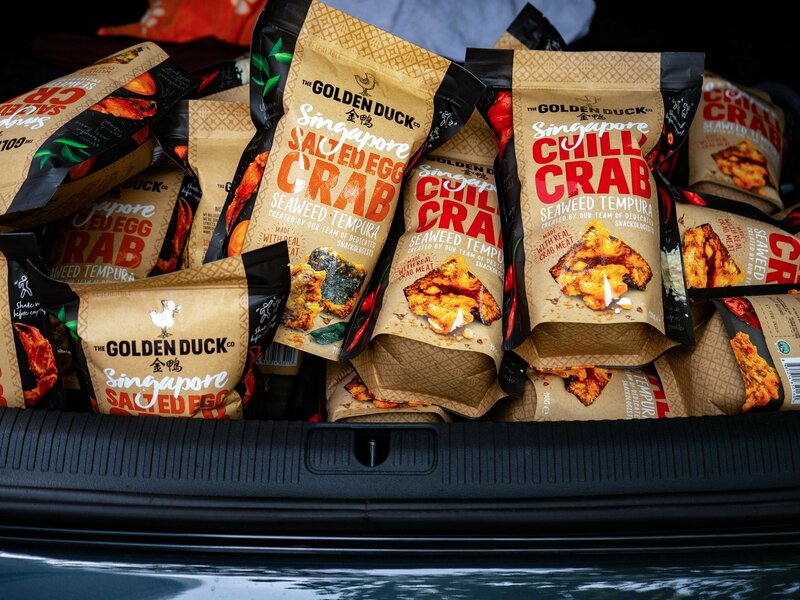 Ready to go to town on oodles of noodles? 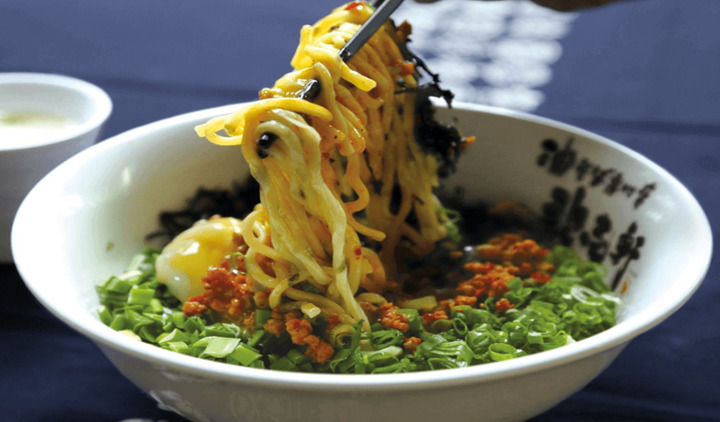 Here's our pick of the best bowls of ramen in Singapore. 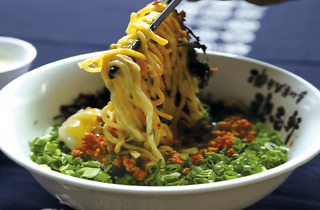 The stall that earned the most love at Bugis+'s noodle food court, Ramen Champion (which also has clusters in Changi Airport's Terminal 3 and Great World City), Ikkokusha's top hit is the Spicy Takana Ramen, which helped pave the way for its own outposts at CHIJMES and Tanjong Pagar Plaza. 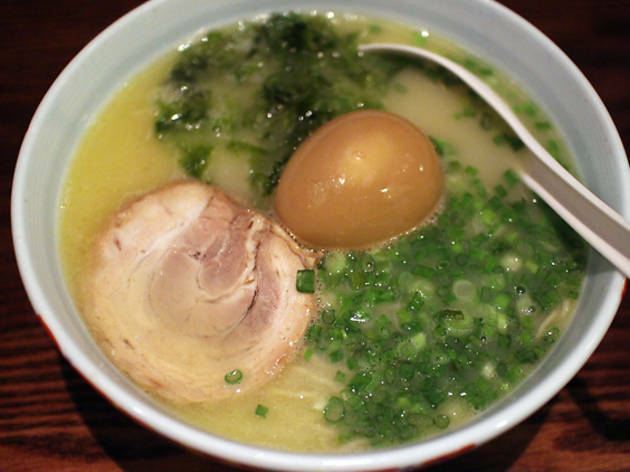 All the Hakata-style ramen bowls here are good, thin, springy noodles that are blanched for just 15 seconds and served with a pure pork broth and a perfectly flavoured egg. 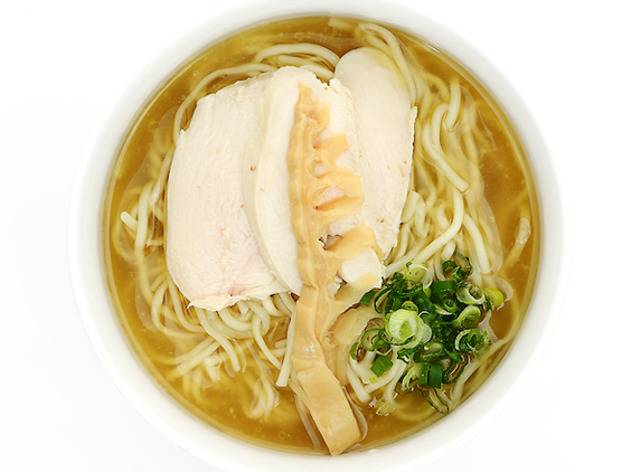 The Takana version is distinguished by its namesake slightly sour, crunchy preserved vegetable from Japan, which adds lift to the rich, savoury broth. 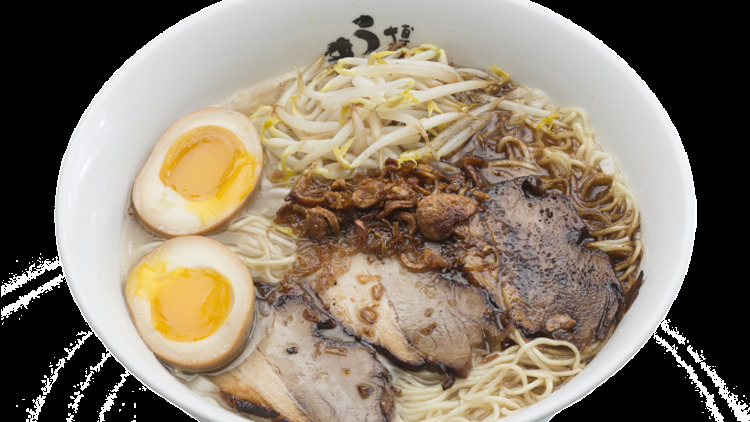 Known for its Hakata-style ramens, Ippudo brings the crown home for their infamous rich tonkatsu broth, simmered appreciatively for a stretch of hours without end. Get their Akamaru Shinaji for an esoteric spin-off from conventional tonkatusu. At a single glance, the blend is a quasi-Deepwater Horizon oil spill with the garlic paste dominating the other players. However, when slurped, you will realise the exclusive melange of miso paste and aromatic garlic oil is a divine move that enhance the porcine essence of the creamy soup. It successfully coats the straight, thin springy noodles giving an added perk to the tonkatsu broth. Priced at $16, it is worth every cent. The first dry ramen has finally washed up on our sunny shores. Mazesoba, 'Maze' which means 'to mix' in Japanese is a unique dry ramen dish that is uncommon. Dug into this dish and let it end all your skepticism with their Nagoya styled soba. 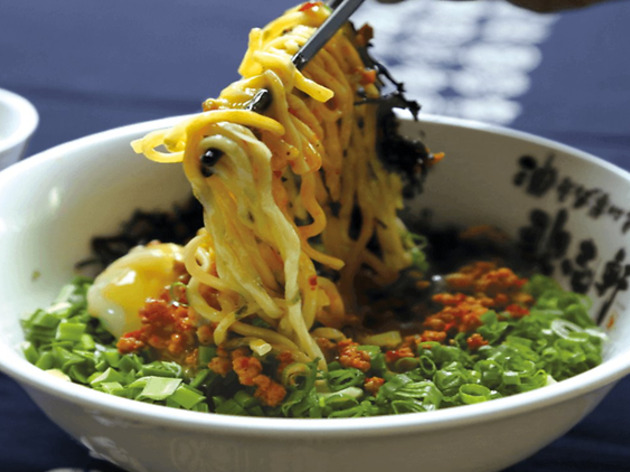 With aromatic braised meat cubes lavishly drizzled upon the perfectly cooked noodles and small piles of scallions sitting in the bowl, gently slide your spoon into the runny egg and let its yolk spill over the noodles, coating each string with a delightful streak of yellow. 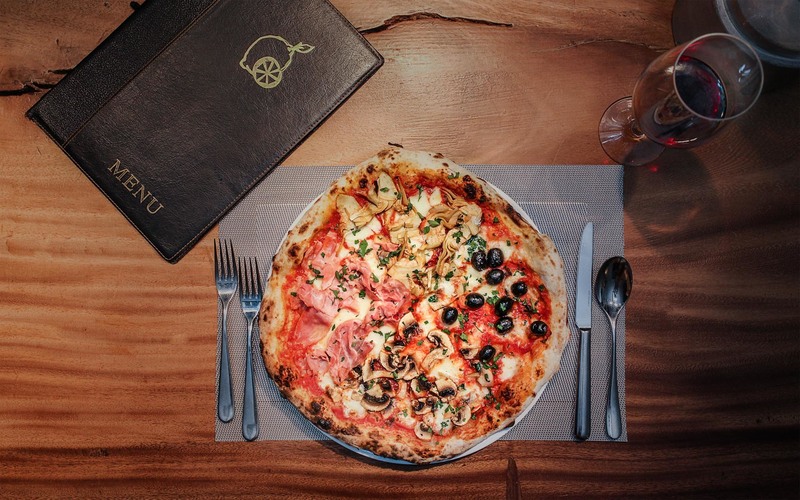 This holy trinity will then produce a sublime combination that combust into surprising flavours with each mouthful. 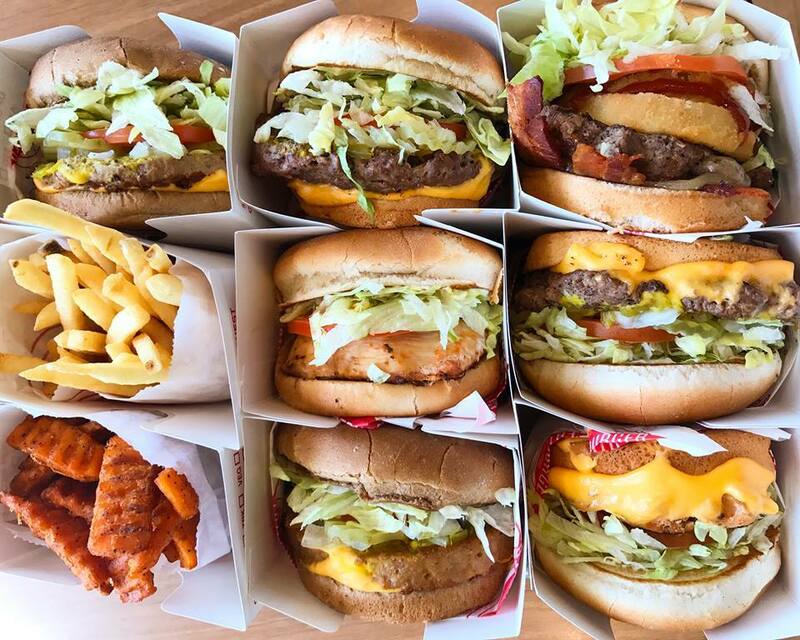 Tuck these parcels of joy into your stomach and don't forget to slurp it up! 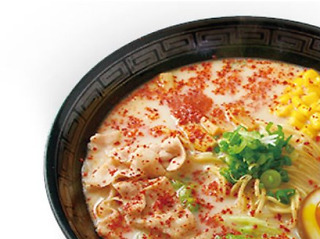 Exclusive to Tampopo, this is not your ordinary pork bone ramen soup. Having a pedigree for procuring high calibre ingredients, this flagship store imports their own noodles from Kyushu. It skillfully cooks the noodle to a chewy al dente texture and tirelessly boils the pork bone soup for a span of two days. This produces a thick milky broth which delights your taste buds with strong robust flavours alongside with an assault to your olfactory system that you can capture from a block away. 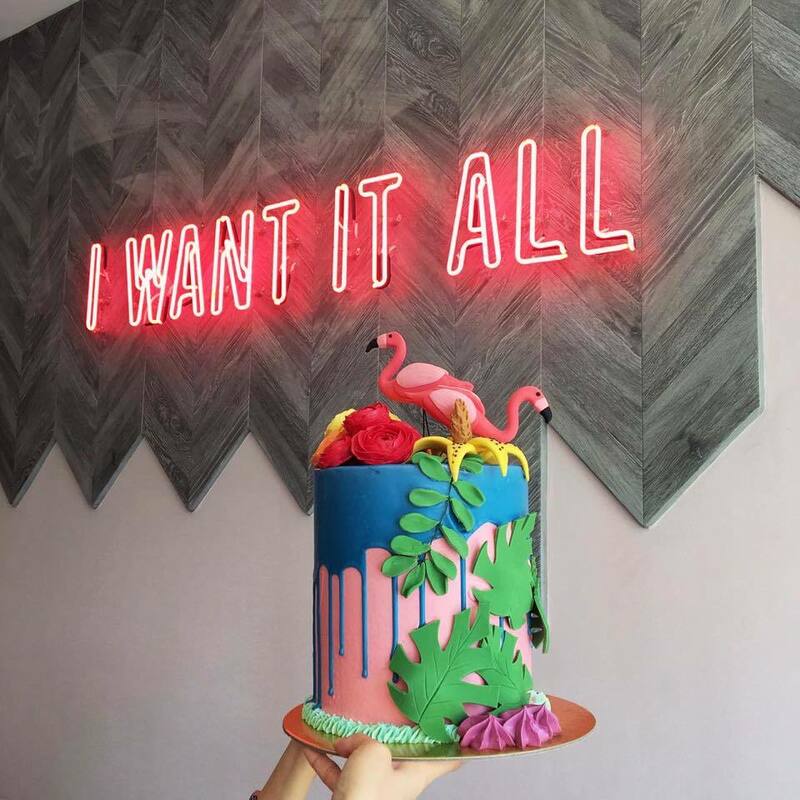 Get ready as you abandon all pretentious western decorum and embrace the mess with every mouthful. 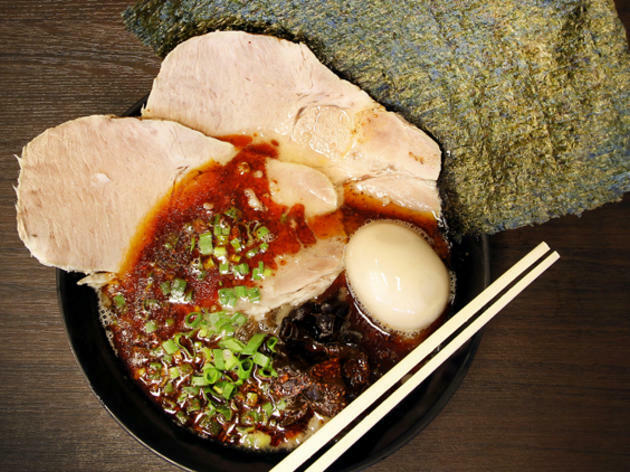 With a few accolades under its belt, one being Tokyo Ramen Of The Year, Ramen Nagi has come a long way from serving ramens in a hole-in-the-wall ramen house. Their unique signature The Black King ($15.90) may appear intimidating at first glance with the thick black broth in a complex mix of aromatic black garlic and strong spice assaulting your nostrils, but when slurped, it is surprisingly smooth with a distinct flavourful taste of unami in the potion caused by the blend of minced meat. However, do go easy on the intensity of garlic as it may be slightly oily for the broth. This Singaporean offshoot of the Niigata ramen chain isn't exactly one of those highly coveted brand names with plenty of hype points, but the noodle-and-soup combinations here are no slouch. The house signature shoyu bowls simmer tonkotsu, whole chicken, vegetables and sardines for a deeper-coloured broth with markedly more surf than turf flavours to coat the chewy noodles, made in the noodle shop daily. Punters unafraid of the strident briny flavours should order an upsized tsukemen platter of noodles with a thick bonito and sardine soup ($16) to dip into, otherwise the W Soup Tonkatsu ($16-$19.80) is the other more approachable option with more typical creamy pork flavours you'd expect from a bowl of ramen. 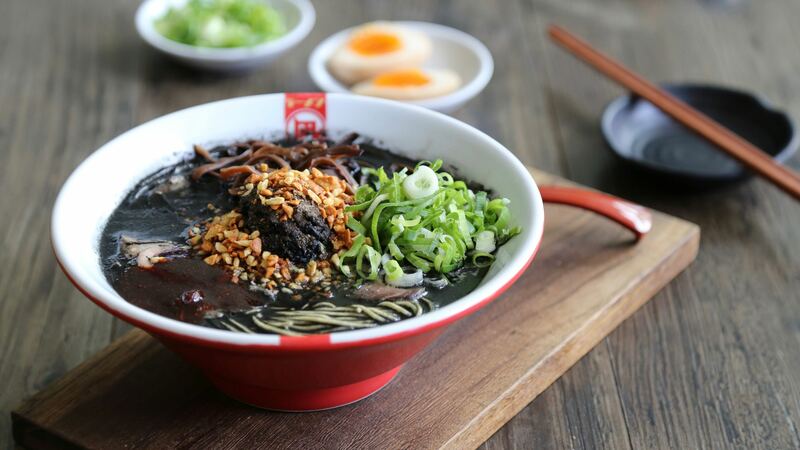 Takumen started as a ramen delivery service in Tokyo before picking Singapore for its first physical restaurant. 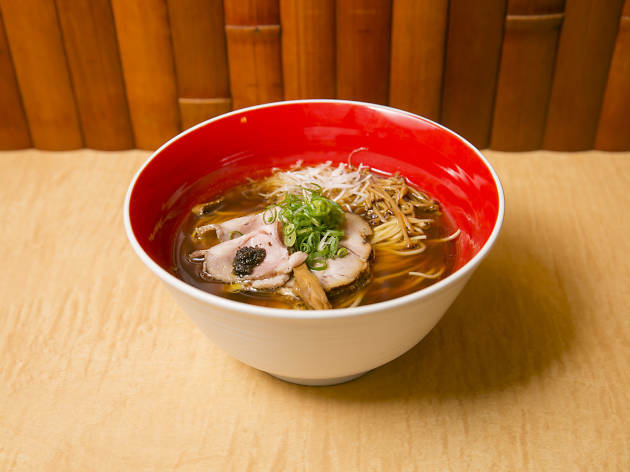 Like Ramen Champion, this tiny shophouse ramen-ya features a portfolio of lauded ramen stores from Japan, serving their well-loved bowls till suppertime on Fridays and Saturdays. Unlike the food court, the chefs at Takumen have each learned to replicate the soup and noodles unique to each joint, and can only serve them here after earning a signed approval form from the ramen’s head chef, which explains why bowls like the chicken-based broth Tori Paitan Ramen ($14.90) at Takumen are a hit. Also available is the Singaporean version, with less salt and oil for the health conscious. 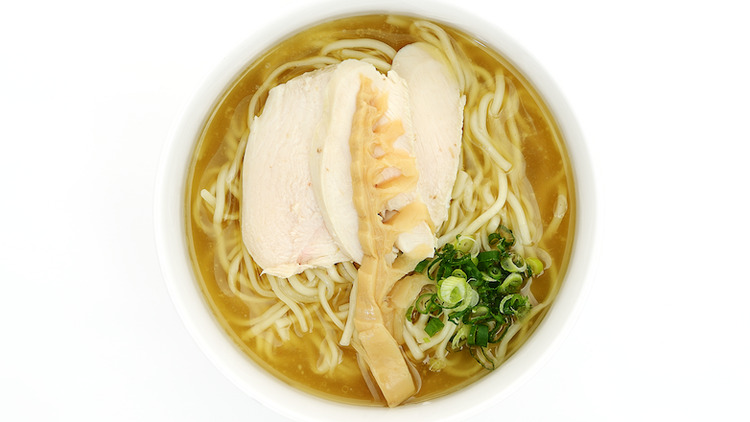 A polarising entry on the list, Marutama does it a little different from the rest – instead of the pork broth that you're more accustomed to in ramen, they use a signature chicken broth that is well-loved. A standard Marutama Ramen ($12) may be simple with slices of chasiu, seaweed, spring onions, and ramen noodle in a non-spicy chicken broth but enough to satisfy a ramen fan. Where Marutama wins more points is in the fried discs of sliced garlic offered at every table, and its secret chopped chilli, available on request. Its nose-clearing heat is perfect for those days when we want a Singaporean-esque kick of spice with their warm, homey noodles. 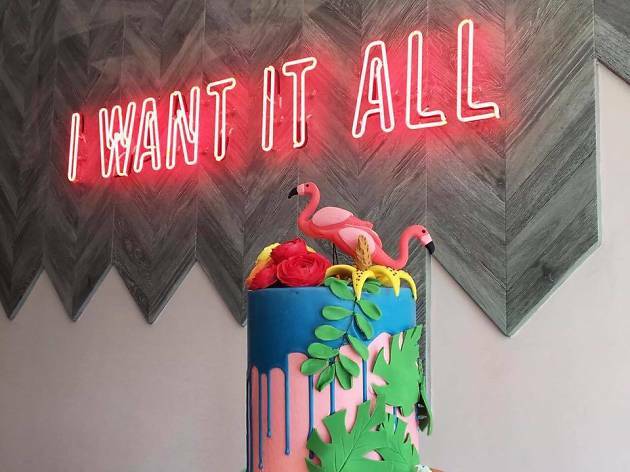 Japanese actor-turned-restaurateur and son of a ramen master, Masahiko Teshima's venture with fine dining restaurant Iggy's namesake Ignatius Chan, is a little off the ramen beaten path at the quieter, Tanglin end of Orchard Road. Still, its seven bowls and limited edition flavour whipped up for occasions like Chinese New Year deserve every bit of praise. Its Garlic Ramen in a tonkotsu stock, topped with bean sprouts, eggs, darkened char siew and generous flecks of fried garlic and shallots, are worth every bit of the complaints of garlic breath you'll have to endure the rest of the day. Plus, it's available late into the night at its secret speakeasy, The Horse's Mouth, downstairs, to pair with the fantastic cocktails on offer. Tsuta, the only Michelin-starred ramen eatery in the world, now has its first and only overseas venture in Singapore. 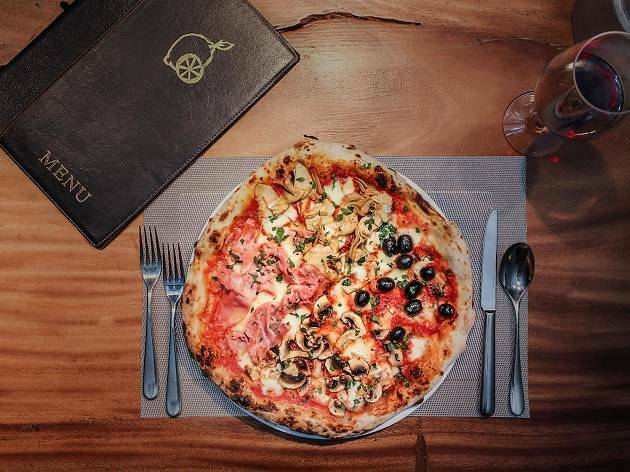 Founded by chef Yuki Onishi, Tsuta is renowned for its noodles – made from four types of whole wheat flour – that has a firm bite and smooth texture. 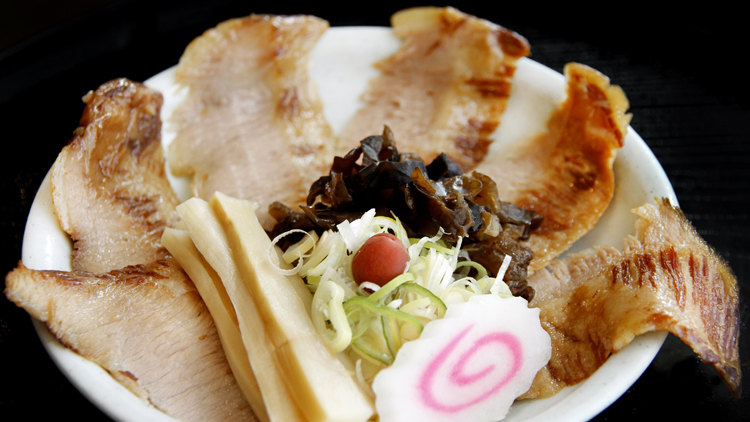 Choose from three types of soup bases: shio, miso and shoyu. 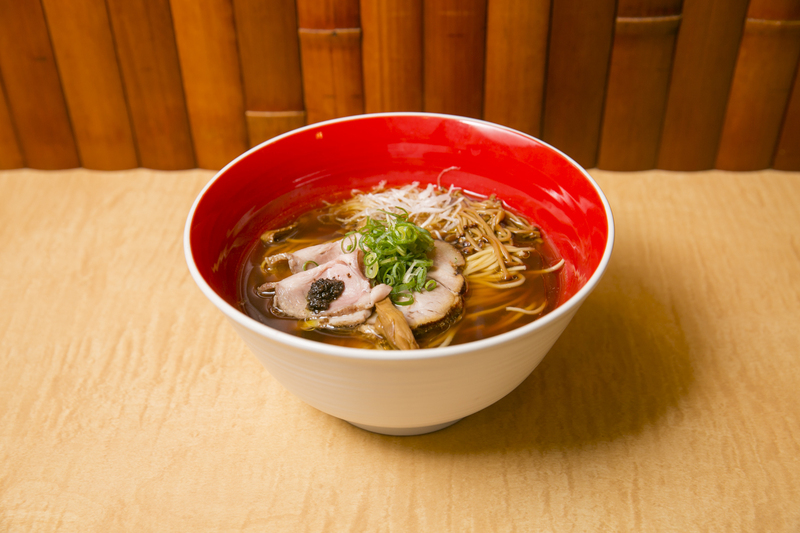 The shio is made from a chicken-and-seafood blend with rock salt, red wine and rosemary infusions, the miso uses Tokushima-made soya bean miso mixed into a chicken soup base, but go for the shoyu, which is served with black truffle sauce. 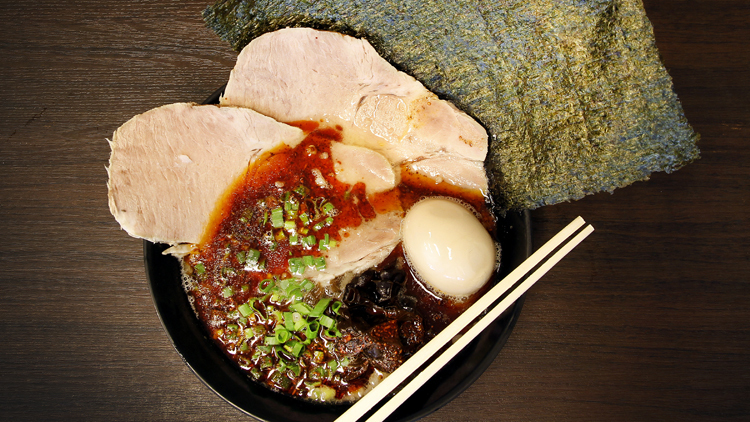 Each bowl of ramen ($15-$22.80) – choose between 100 or 140 grams of noodles – is also topped with thick slabs of pork shoulder char siew. 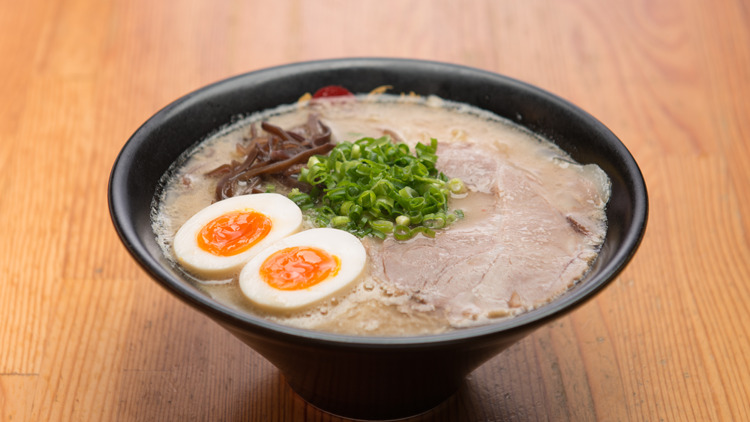 You'll have to queue for Tonkotsu King, a cosy little place near Tanjong Pagar MRT station – but it's worth it for the best ramen in town. Although noodle maverick Keisuke Takeda has opened a whole slew of ramen shacks around town, his tiny flagship still serves one of the best bowls in his portfolio of unique concoctions. 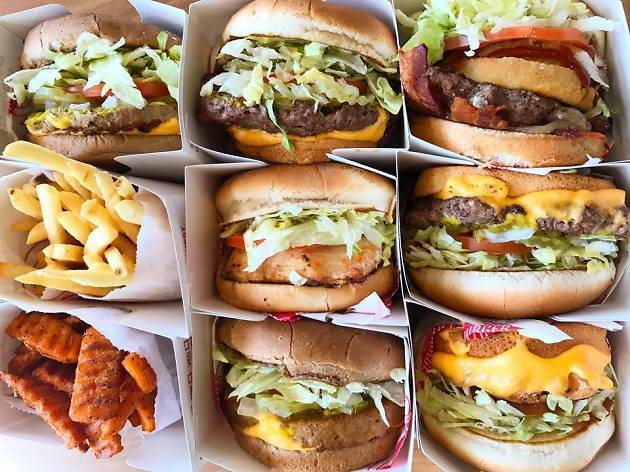 The tiny paper menu keeps things simple. 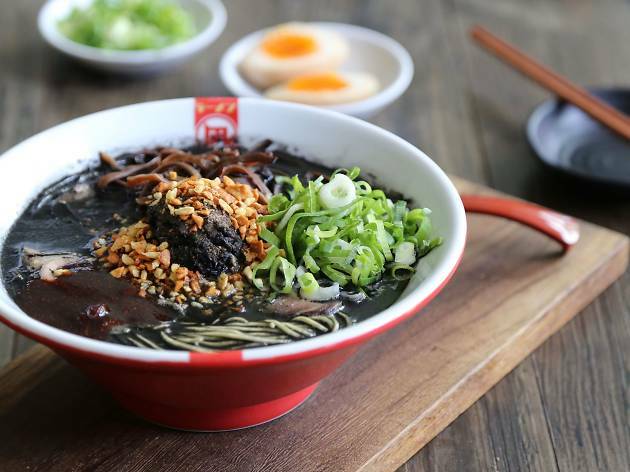 Pick from one of three ramen broths – black spicy, red spicy and original broth – choose how rich you want the broth and how firm you want your noodles to be. 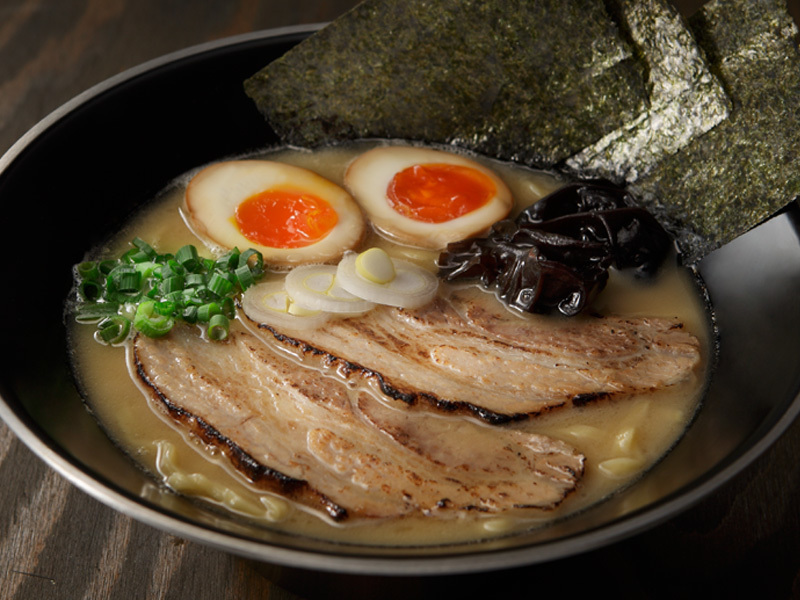 The Tonkotsu Ramen Special ($14.90) is glorious: a rich, slurpable broth, a creamy-yolked egg and three large pieces of pork. 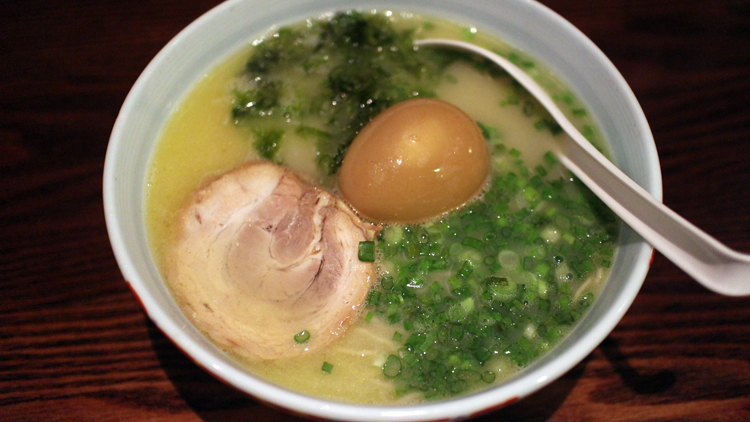 You also get unlimited hard-boiled eggs, slightly spicy bean sprouts and grind-it-yourself sessame seeds on the side, making a meal at Tonkotsu fun as well as tasty. The wait in the queue at Ramen Santouka's flagship store at The Central isn't helped by the plastic food replicas reminding you of the stellar bowls of comfort they serve inside their tiny ramen-ya. The menu much bigger than most, but home in on the Tokusen Toroniku Ramen and definitely get an additional side portion of rice topped with salmon egg roe to complement the soup. 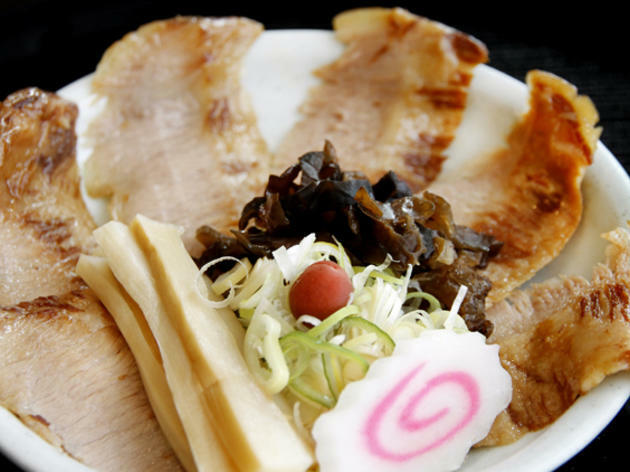 Dubbed the 'choice pork ramen' by the Hokkaido-chain, gleaming, meltingly tender slices of pork jowl from Iberian pork is served separate from a bowl of yellow noodles swimming in a milky broth.